After almost a decade of back and forth negotiations, Iran and the world major powers signed a historic final agreement, the Joint Comprehensive Plan of Action, on nuclear issues on July 14. It was hailed by the majority of the international community as a major step to restore peace in the Middle East. However, what made Iran agree to the deal? Will the agreement be enforced as expected? What will the lifting of economic sanctions bring for Iran? 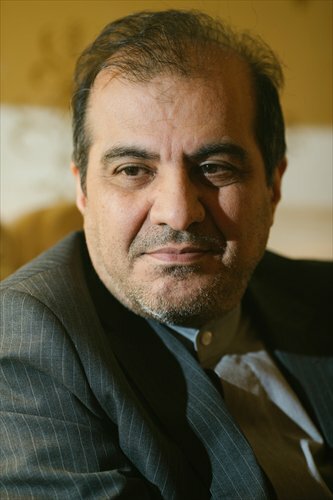 Global Times (GT) reporter Liu Zhun talked to Ali Asghar Khaji (Khaji), Iranian ambassador to China, on these questions. GT: The nuclear dispute has lasted for more than a decade. What made Iran, at this moment, accept a final agreement, which puts so many restrictions on Iran's capability of developing nuclear technology? Khaji: As a signatory to the Non-Proliferation Treaty (NPT), Iran has always insisted on its rights to benefit from peaceful usages of nuclear technology like all other countries who have signed into the NPT. During the past decade or so, according to the provisions of the NPT, Iran pursued and achieved the development of nuclear fuel enrichment cycle for use in nuclear power plants and medical, agricultural and other scientific usages and the recently signed agreement recognizes Iran's rights to continue such peaceful nuclear activities. During the past years the other side had always tried to deny Iran these rights through the imposition of unfair sanctions, but they finally accepted to recognize Iran's rights. Therefore in view of Iran's confidence in the peacefulness of its nuclear activities and in order to help alleviate the international community's concerns, we entered the negotiations with world major powers and finally achieved a comprehensive, win-win agreement. The UN Security Council is also set to endorse the agreement this week. GT: Is this the true end of the nuclear disputes? Khaji: From our point of view, it is. The final agreement has over 150 pages with minute details, leaving no space for ambiguity and misinterpretation on any side. If there is the necessary political will and respect for undertaken commitments from the other side, then we can be optimistic this is the final end of the disputes. The all-out mechanisms and frameworks have left little space for any side to manipulate specific terms to their own advantage. GT: US President Barack Obama said the agreement "is not built on trust - it is built on verification." If there is no mutual trust between the US and Iran on this agreement, what can make it last? Will there be a bumpy road for the implementation? Khaji: It is true that the agreement is not built on mutual trust; Iran also does not trust the US. Besides, the agreement thus reached is not a bilateral agreement between Iran and any one country, but rather it is between Iran and a group of world major powers to be endorsed by the UN Security Council and therefore any one particular country may not single-handedly refuse to accept the obligations signed into. The final agreement is in compliance with the international law. Any side which tries to break their commitment to the pact will be seen as a violator of the international norms and international laws. It would gravely harm their reputation and credibility in the international community. Iran has always shown to be honoring its commitments, but I cannot guarantee that there won't be ups and downs in the implementation of the agreement. Anything could be possible. But as long as all signatories stick to their commitments, the agreement will continue to play its part and resolve the disputes. GT: How do you evaluate China's role in the prolonged negotiations between P5+1 and Iran? Khaji: As a major global player, China played a significant role in the process and it conforms to its position as a rising power. Besides, the long-term historical friendship between Iran and China leads us to believe that China could be a prominent and constructive party in the talks, so when the nuclear disputes were going on, we insisted that China should be added to the negotiating table. China has served as an important force to advance the talks at different stages. It worked as a liaison that has successfully bridged the gaps, neutralized misunderstandings and helped alleviate concerns during the negotiations. For example, China's initiative to modify Iran's Arak heavy water reactor was a major help that soothed other negotiators' concern. Therefore, we really appreciate China's role. GT: Iran is a crucial link in China's "One Belt, One Road" initiative. After the lifting of economic sanctions, will Iran participate in the initiative more actively? Khaji: Iran has had historical relations and exchange with China for over 2,000 years and there has never been a dark point in this long history of bilateral relations. There exists huge capacities and potentials for further development of bilateral ties. Our two economies can be highly complementary. China is already Iran's primary trading partner and the lifting of sanctions can only help further enhance our ties. Iran highly commends and welcomes Chinese President Xi Jinping's "One Belt, One Road" initiative and is ready for close cooperation with China. Traditionally placed at the international crossroads, Iran played a crucial role in the ancient Silk Road era and in view of its geopolitical position bridging the East and the West, Iran can play a pivotal role in China's "One Belt, One Rode" initiative. Iran has five-year development plans, under which many infrastructure projects are envisioned such as railroads, highways, ports and oil and gas pipelines which can be linked with China's initiative. China may also equally benefit from closer economic cooperation with Iran.